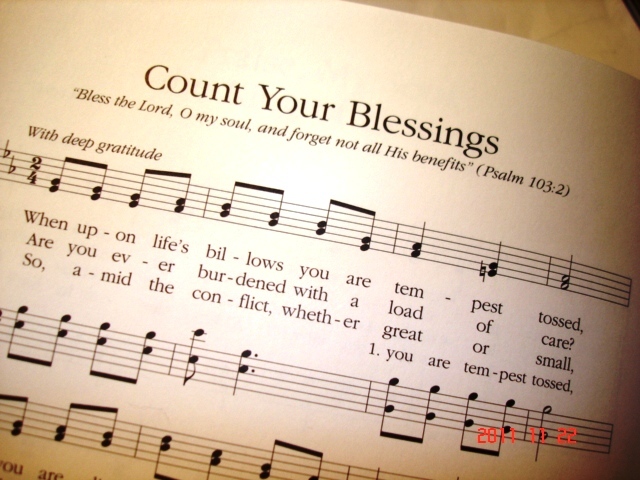 I invite you to join me by prayerfully reading the lyrics to this beautiful song – “Count your Blessings.” Let us allow God use it to help us count our blessings today. Often, I sing this song to brighten up the dark nights of my soul. The words inspire me and brighten me up. Count your many blessings—*money cannot buy [*wealth can never buy] Your reward in heaven, nor your home on high. As the song teaches, let us not only look to God’s physical blessings, but also to his spiritual blessings. Such blessings are eternal. As we “count your blessings” we will find that “it will surprise you what the Lord has done.” Seeing our blessings lifts us up out of the miry clay. It frees us from the dark pit. Counting our blessings does not mean we deny we are having problems. It does not mean we ignore our troubling emotions. It does not mean we wear a mask and “Cheer up and act like everything is fine.” That doesn’t work because it is unreal and doesn’t lead to lasting joy and peace. The song is actually encouraging us to acknowledge openly that we are “tempest-tossed” or “burdened with a load of care.” It brings us to bring our concerns to God in prayer. It reveals a God who understands our pains and troubles. 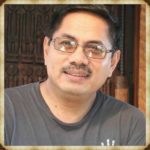 It shows a God who always love, comfort and heal. When we go to God with our troubles we can begin to see that we do not need to be discouraged because “God is over all.” In other words, we bring our circumstances and ourselves to Christ in the Kingdom of the Heavens with confidence that we are embraced and not condemned. 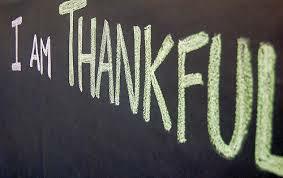 To count our blessings is to appreciate, one-by-one, that we have “every spiritual blessing in Christ” (Ephesians 1:3). When we do this, we can’t help but live a life of Thanksgiving.